Do you want to know what strange things will appear on your ears? 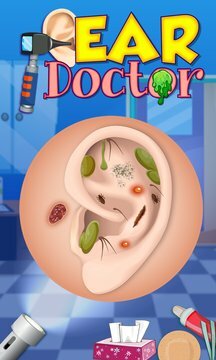 Now you have a chance to become an ear doctor, find out strange diseases and treat them by yourself. Start with the ear cleaning, find the bacteria and eliminate them. The following step is the treatment deepest inside the ear hole, you should choose an instrument and put it into the patient’s ear, here you can use the special gun to kill all the bacterial insects. 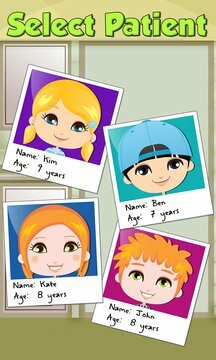 > Select any of your favorite fun kid or star girl as a patent. > Examine the issues in ear with torch light. > Clean up the external year with tissues and cotton buds. > Remove bugs and worms from internal ear sections. > Treat pimples and injuries in and around ears. > Give your patients proper medicine for healing purposes.